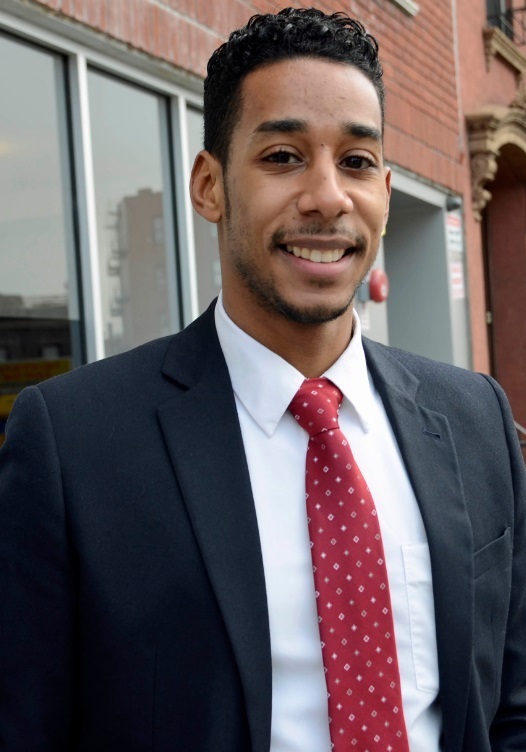 Council Member Antonio Reynoso wants DOT to move forward with its safety plan at the busy Myrtle-Wyckoff transit hub, with or without the endorsement of the local community board. Last Wednesday, Brooklyn Community 4 voted against DOT’s plan, which would dramatically reduce potential conflicts between drivers and pedestrians and create a car-free plaza on one block of Wyckoff Avenue between Myrtle and Gates [PDF]. The transportation committee of Queens Community Board 5, which serves the north side of the future plaza, will vote on the project this evening. 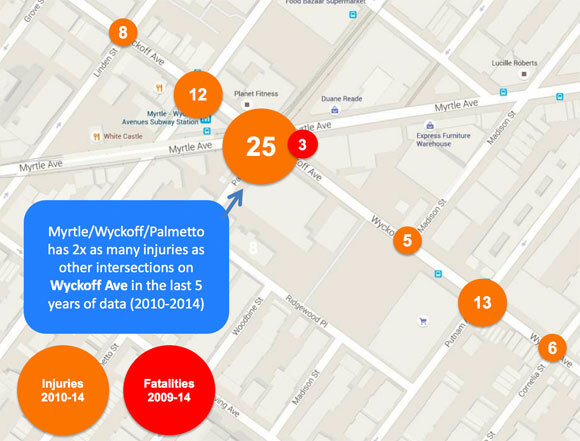 Since 2009, three pedestrians have been killed by turning drivers at the location. Minor changes implemented after Ella Bandes was struck and killed by a turning bus driver in 2013 failed to prevent the 2014 death of Edgar Torres, who was also struck by an MTA bus driver while he had the right of way. Reynoso commended DOT’s plan, which he called “amazing,” on a phone call yesterday. The community board voted against the project because it would reroute buses, according to CB 4 District Manager Nadine Whitted. 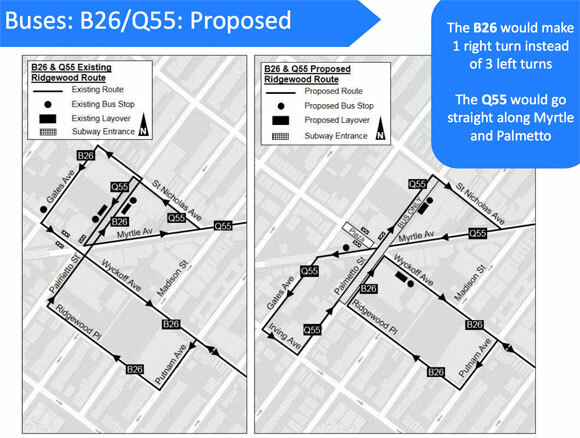 But the safety improvements at the six-legged intersection won’t be possible without adjusting the routes of the B26 and Q55. Reynoso said DOT should take the board’s concerns seriously, but that he trusts the agency to determine what changes will make the intersection safest for pedestrians. “Ultimately the experts on how to implement safety in the city of New York is the Department of Transportation, and we have to ultimately listen to what they say,” he said. Reynoso has previous gone on the record saying that DOT should not let community boards stand in the way of street safety. Community board votes are advisory, not binding, but DOT tends to scale back or cancel street safety projects that encounter community board opposition. DOT declined to comment on whether it would proceed without CB 4’s support. Kudos to Councilman Reynoso for yet again demonstrating true leadership rather than community board cowardice. I hope DOT takes his suggestion. If not. let’s start a betting pool when we’ll needlessly have more dead NYers at that terrible intersection. Laurie Cumbo, Ben Kallos, and other Councilmembers who let advisory CB’s delay/destroy safe street infrastructure could learn from this. The plaza, on the block of Wyckoff Avenue between Myrtle and Gates, is the centerpiece of a major safety project that will reduce conflicts between drivers and pedestrians at an intersection where three people were killed by motorists since 2009.